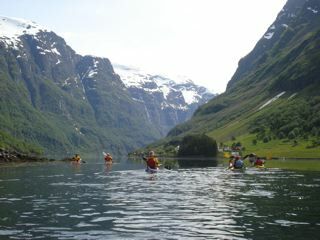 Paddle up one of the worlds narrowest and steepest fjords, see the first seakayakers to surf the Bulken river wave and join a father and son playing games with their kayaks including jumping from the back deck to the front deck! 10 minutes. 335MB. 16 x 9 widescreen.